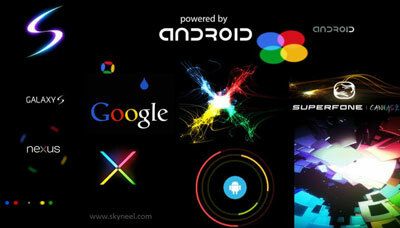 Hi, This is a collocation of Boot Animation for your Android phones. You can change Bootanimation for your Android phone. This process requires root access of your Phone. So if your phone is not rooted, then first root your phone after that you can change your bootanimation and customize your phone according to you. The Boot Animation of Android has uncompressed zip wile which is called bootanimation.zip. You can find this file in the media folder of your phone system folder. In this single file all the information which is required to play the bootanimation are saved. This file itself loaded when your device boots. It means changing the bootanimation means editing or replacing this file on your device. Here is Bootanimation list for your phone. Step 4. Now Reboot your device and Enjoy with Micromax A110 Bootanimation. Step 4. Now Reboot your device and Enjoy with Samsung S3 Bootanimation. I hope you like this Bootanimation guide from which you will be able to easily change your Android Smartphone Bootanimation without any extra efforts. If feel any problem in this guide then please use comment box. Thanks to all. Bhai boot_logo kon sa folder mea rakhna hai ? If you have your elanza 2 boot animation then replace with current animation. I need nexes boot animation for Micromax A177 please! Can u pls give the boot animation for micromax canvas Q345? Whenever I go into system and then media there is no images folder. Any help? try it, I think it will working in your phone. hye..im using micromax a110 with suvi rom v15..can samsung bootanimation work with this rom? may i know "samsung boot animation" comes from which samsung device? tq..
Is samsung bootlogo and bootanimation applicable to micromax a115 canvas 3d? Hi Abishek. Need your help. I installed bumblebee rom and now have replaced with Micromax A110 Canvass 2 JB ROM 4.1.1. But the bumblebee 1st boot image still appears after power on. Then only then the Canvass 2 image appears. How do I get rid of the bumblee 1st boot image. Flash your desired boot logo over it.Thats it…enjoy…..